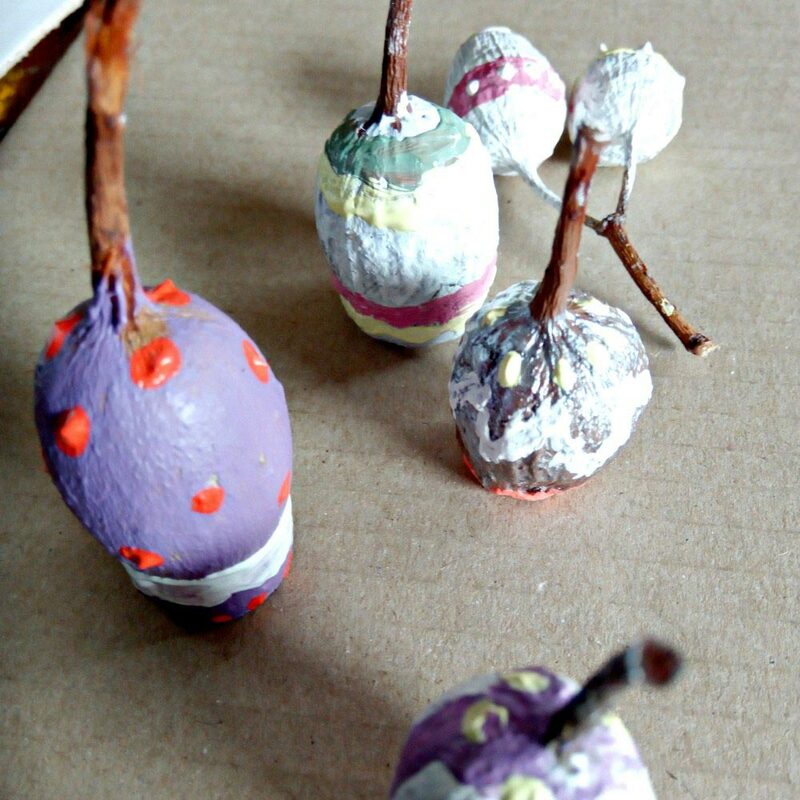 This Easter craft project was created by Bell from Mums Take Five. 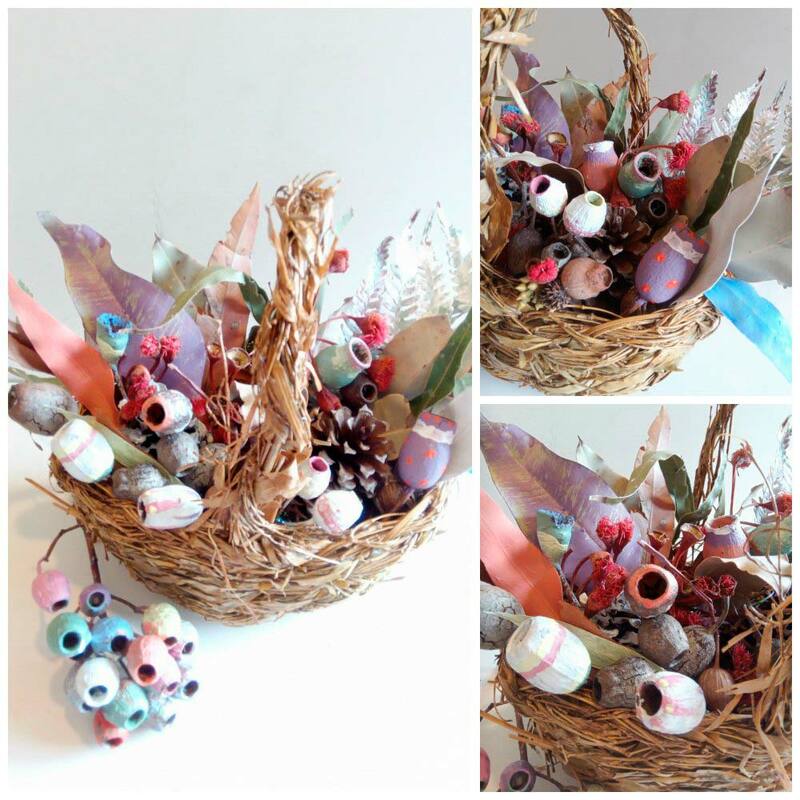 We loved creating our own Easter basket table decoration using treasures collected from the Australian Bush floor. So pretty, fun to make and loved because we made it ourselves. The kids had a great time outisde looking for all of the materials! How to make your Easter basket! Go through your Bush Treasure collection. 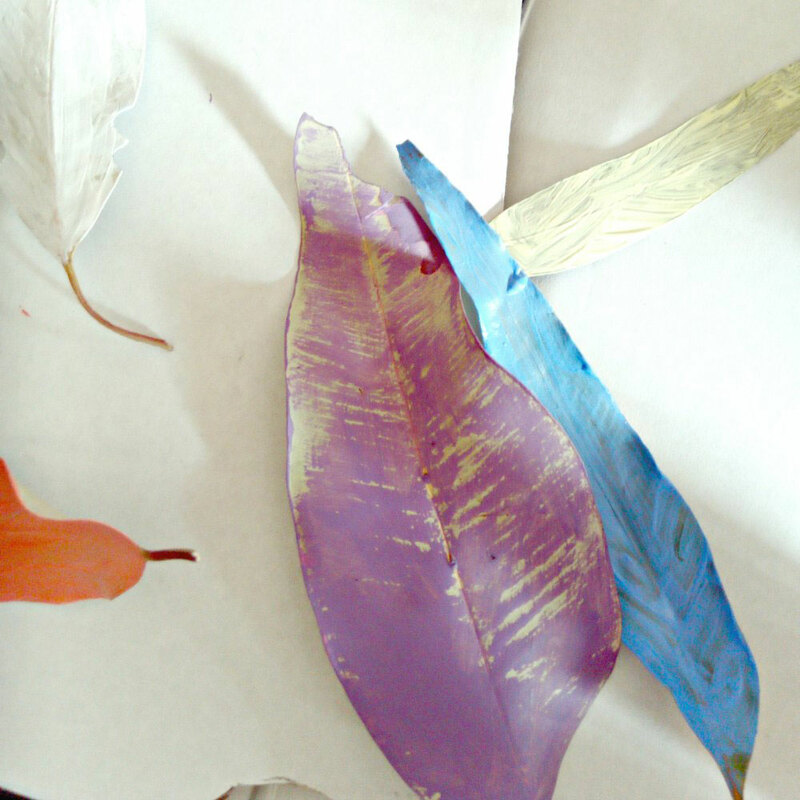 Gum nuts are perfect for this craft, we also used an assortment of leaves, pine cones and dried blossom. 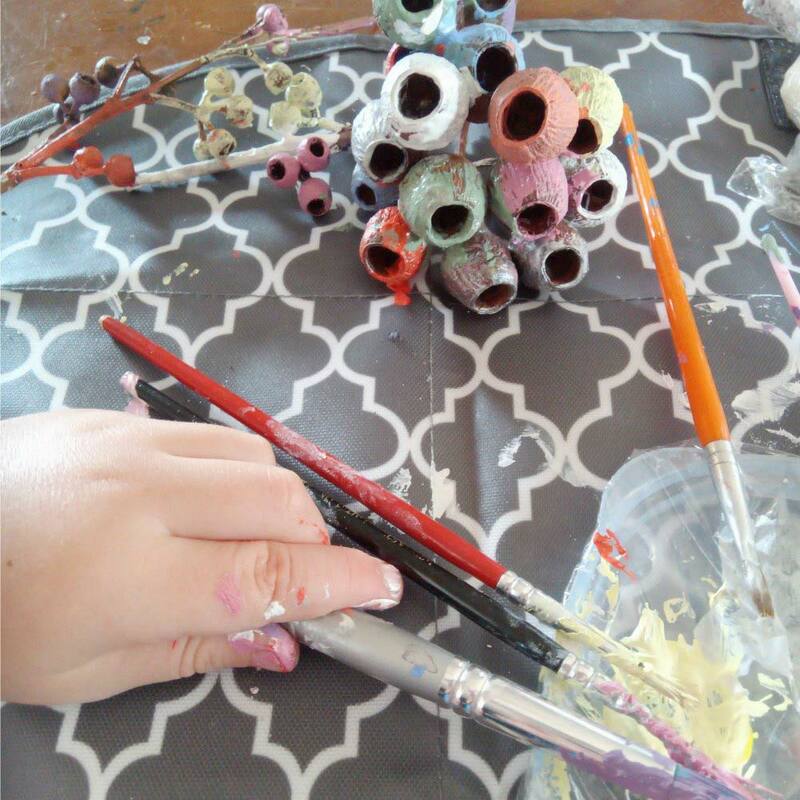 We used Acrylics to paint our treasures. We used our regular colours and mixed white into them to make them Easter inspired pastels. Once they are all dry you can start to build your collection. We started with pinecones on the bottom and then slowly built it up alternating between painted and natural items. 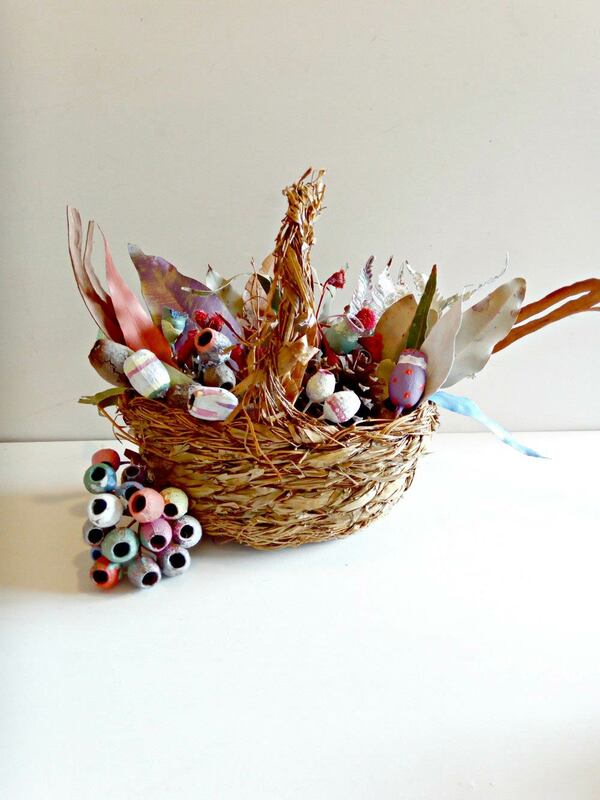 Your beautiful colourful Australian bush inspired Easter basket is now ready to be the centrepiece of your Easter decor. 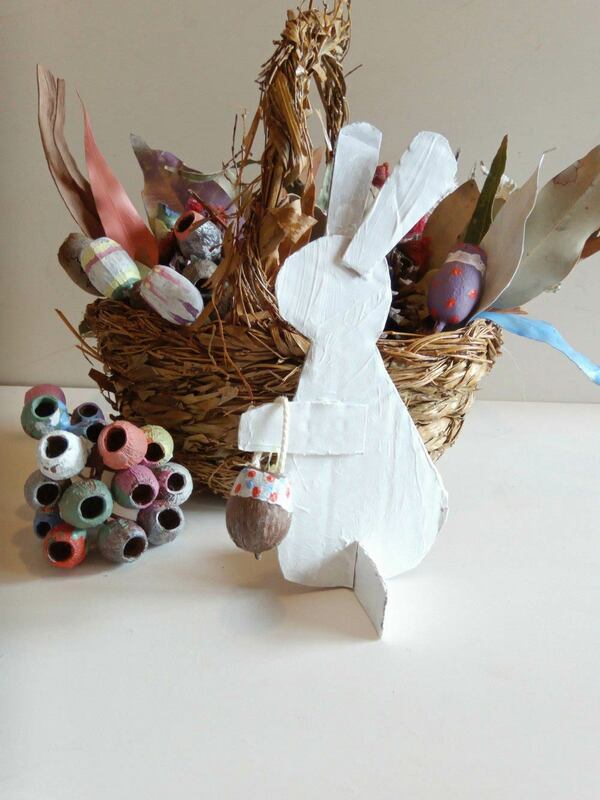 We hot glued a handle to one of our painted gum nuts to make an Easter basket for our cardboard bunny. I’m sure you’ll find lots of ways to decorate and display your Australian bush inspired Easter basket.